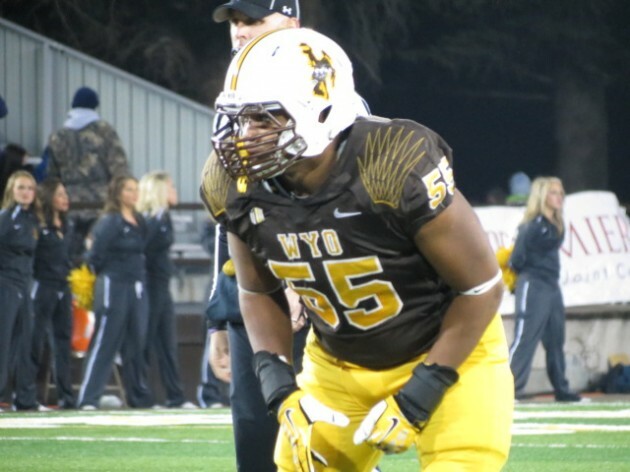 Wyoming senior defensive end Eddie Yarbrough was named to the Ted Hendricks award watch list. The award, which honors the top defensive end in the country. Eddie Yarbrough, who was named to the same watch list last season, is one of 32 candidates on the list. Of the 32 candidates on the list five others are part of the “Group of Five” and one is an FCS player from Southern Utah. Yarbrough, from Aurora, CO, leads the Cowboys with three sacks this season. He ranks second on Wyoming’s career list for tackles for loss with 33.5. Yarbrough has 35 tackles this season, five tackles for loss, three sacks, and one tackle for loss. Yarbrough was a team captain the last two seasons. He has also been named All-Mountain West first team the last two seasons.